Most of us have probably encountered at some point or another problems in our everyday healthcare. It could be waiting a long time for an appointment, taking unnecessary medications, or simply not finding enough information about how best to treat a condition. But now, several Israeli healthcare startups are addressing some of these common issues with easy-to-use technology, potentially helping patients save money and time. NoCamels highlights five of the most intriguing startups transforming everyday healthcare. Imagine you could skip the waiting time for a doctor’s appointment and save the money you would have paid for the visit. Israeli startup TytoCare has developed an innovative hand-held instrument, called Tyto, which is able to detect and classify common diseases such as flu or ear infections. The kit includes a stethoscope, an otoscope and a computer-vision camera that helps the user diagnosis the problem. In case a doctor is needed, the device can also be used to connect with a specialist for a remote consultation. Founded by Israelis Dedi Gilad and Ofer Tzadik in 2012, the company has so far raised $18.5 million (drugstore chain Walgreens is among the investors) and is about to complete beta testing of the product. 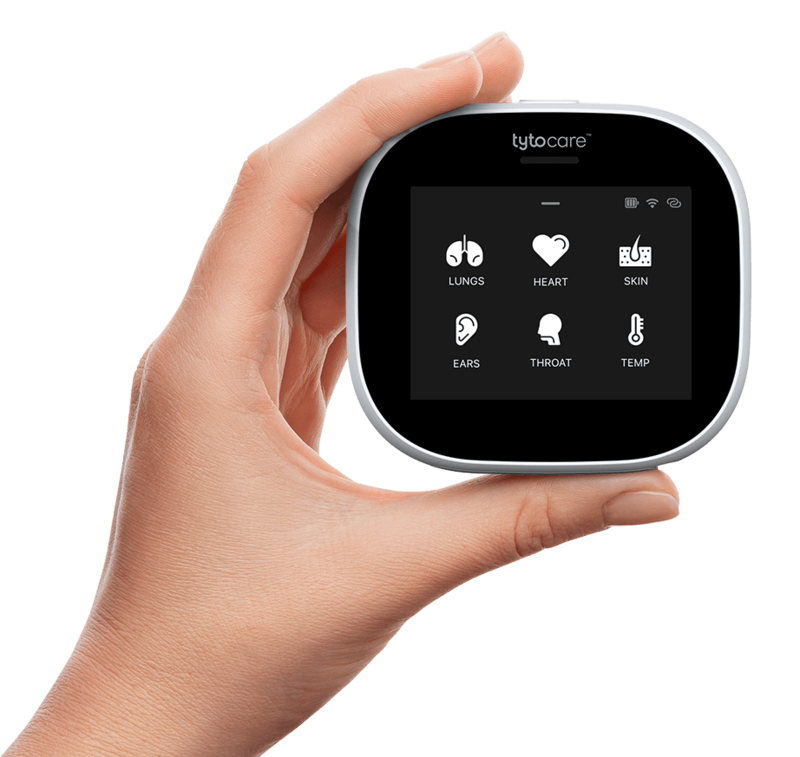 Telehealth developer Tyto Care has received a CE mark for its remote medical examination system. Please submit your contact details below. *The Tyto Stethoscope is FDA cleared and all devices comply with FDA regulatory requirements. iPhone® and iPad® are registered trademarks of Apple, Inc. Copyright © 2019 TytoCare Ltd.